Christmas Party with Karaoke! 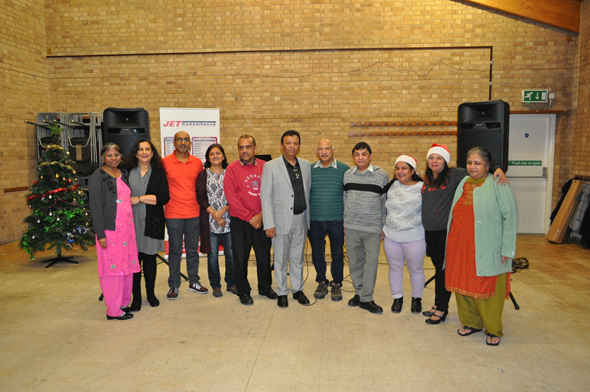 | Oshwal Association of the U.K.
Leicester area held a Christmas party with Karaoke on Sunday 9th December 2018. The program started with prayers and 45 members attended. Mr Jay Rathod sang Mukesh’s songs for about an hour and then the members from community had chance to sing. Hemal followed by Bhavna, Lata, Dravin, Jyotika, Rajesh.and Nikunj. Everyone enjoyed themselves and some members took part in dancing. Light refreshments were served Pizza, wedges, coleslaw and for dessert apple pies and custard. The food was much appreciated by all. Unfortunately, not enough people turned up but those present enjoyed themselves.